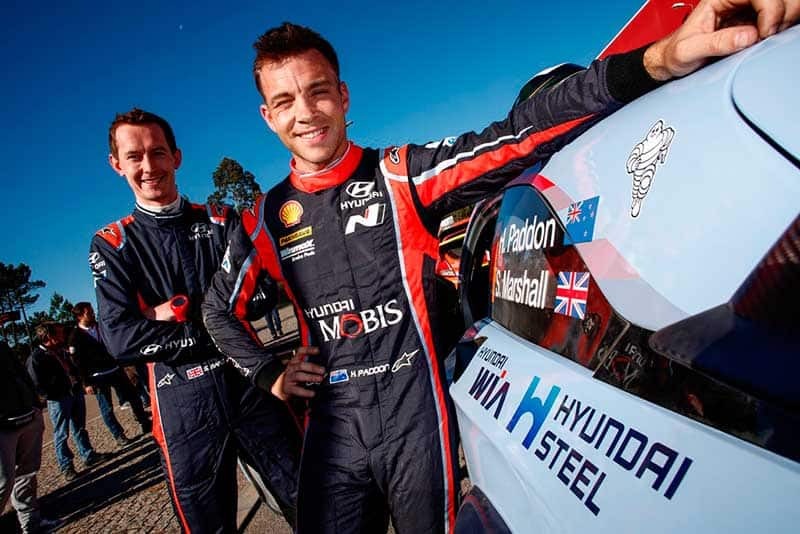 As predicted, Hayden Paddon’s co-driver, Seb Marshall, will switch teams and sit alongside Kris Meeke and Toyota Gazoo Racing in 2019. The switch was hinted at the final round of the New Zealand Rally Championship, when Paddon swapped from John Kennard to Malcolm Read at the very last minute. At the time, it was thought that this could mean a change for 2019, as rumours of Marshall joining Meeke had already begun circulating. “We are pleased to announce that Seb Marshall is to join TOYOTA GAZOO Racing World Rally Team as Kris Meeke’s new co-driver,” the team announced. “Seb has quickly become one of the most respected co-drivers in rallying. He joins the team with four years of experience at the highest level of the FIA World Rally Championship with Hyundai: firstly with Kevin Abbring and then alongside Hayden Paddon since Portugal 2017, scoring four podium finishes. Marshall thanked Paddon for their time together. “I want to express my enormous thanks to Hayden and everybody in the Hyundai team, who I have spent the last four years with. “It’s been an amazing experience with some great memories to look back on, not least our podium finish last time out in Australia,” he said.